Welcome back to another February edition of the Dores Dental blog! 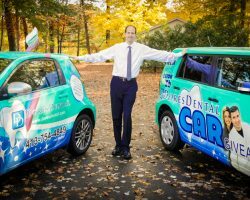 Our mission is to provide the families of Longmeadow, MA with first-rate oral health care and dentistry services. We want you to have the healthiest, best-looking smile in town! …embarrassed by your yellow or stained teeth? …less confident because of your smile? Then let us help! There’s no need to let a damaged smile get you down. We actually have a quick and easy cosmetic dentistry solution for all your teeth-related problems! It won’t be long before you have a camera-ready smile once again. All you have to do is make an appointment to learn more about dental veneers. Let’s get something straight: cosmetic dentistry is not just for Hollywood types. We understand that cosmetic dentistry can seem overwhelming from the outside. But it is actually quite simple and accessible these days. We’ll go over everything you need to know during your consultation, and together we’ll come up with the best solution for your current needs and budget. But we can tell you that dental veneers are a great long-term treatment that will cover-up the years of damage your smile has endured. No matter what kind of issues you are dealing with, our veneers can more than likely help you look and feel better fast. So, just what are dental veneers? We’re glad you asked! Veneers are extremely durable shells that get applied to the front of your existing teeth so as to make them appear new again. In our office, they are made of porcelain. We do that for a reason. Porcelain provides a realistic, tooth-colored look that will give you a brilliant smile. If your teeth have been severely damaged or simply have a few minor imperfections, a porcelain veneer will make your smile appear to be completely refurbished. And it is a convenient option, too. That’s because applying veneers can be done in two quick visits to our Longmeadow, MA dentist’s office. To get the ball rolling, we will take an impression of your tooth so that we can create a veneer that will fit over the tooth while looking and feeling perfectly natural. After we have your individualized veneer, you will need to come in for your second part of the treatment. At that juncture, we will carefully remove a small section of the surface of your teeth and bond the veneer to your tooth to replace that section. Trust us, veneers are a minimally invasive way to get a gorgeous new smile! Isn’t it about time to take back your smile? Wouldn’t it be nice to boost your confidence, health, and appearance in time for spring? Now that you know about veneers, what’s holding you back? Contact us at Dores Dental of Longmeadow, MA to schedule your cosmetic dentistry consultation. We can’t wait to get to work!